Harajuku duo sporting statement all red ensembles by legendary Japanese brand Comme Des Garcons with layered tops, plaid pants, drop crotch pants, black sneakers, platform t-strap shoes, and bags. 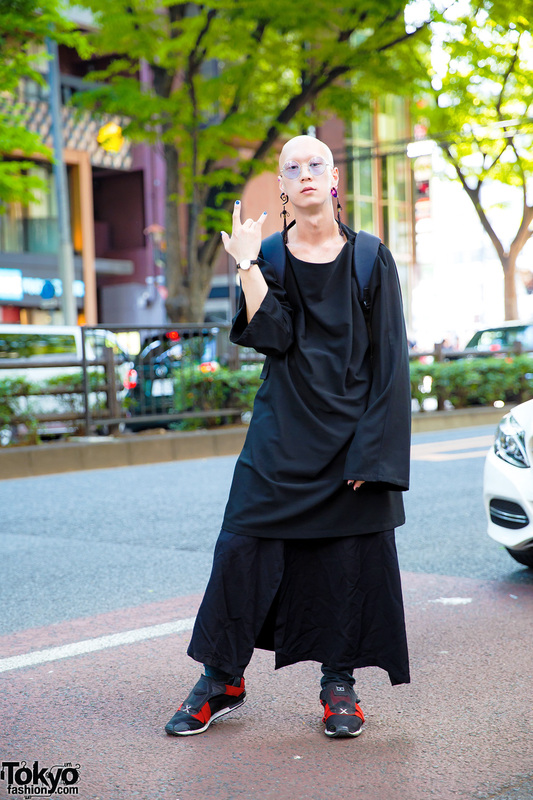 Harajuku model and musician sporting an all black ensemble while out and about on the street. 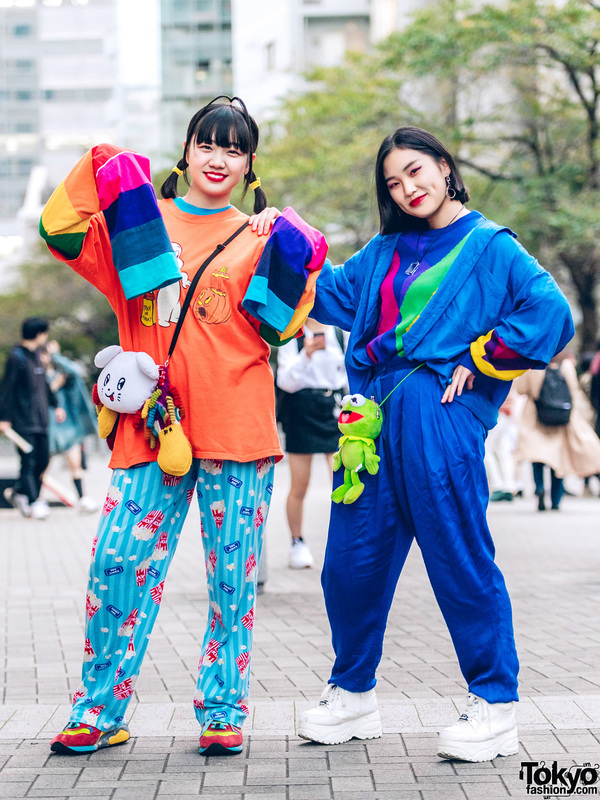 Japanese students sporting stylish streetwear outfits while out and about on the Harajuku street. Japanese street fashion with zebra print coat over printed top, black pants and sneakers; oversized long sleeve shirt over hoodie sweater, houndstooth print pants, sneakers and vintage bag. Harajuku pink-haired girl in mixed print fashion with oversized kanji print top, striped skirt, tabi socks, geta sandals and a graphic crossbody bag.